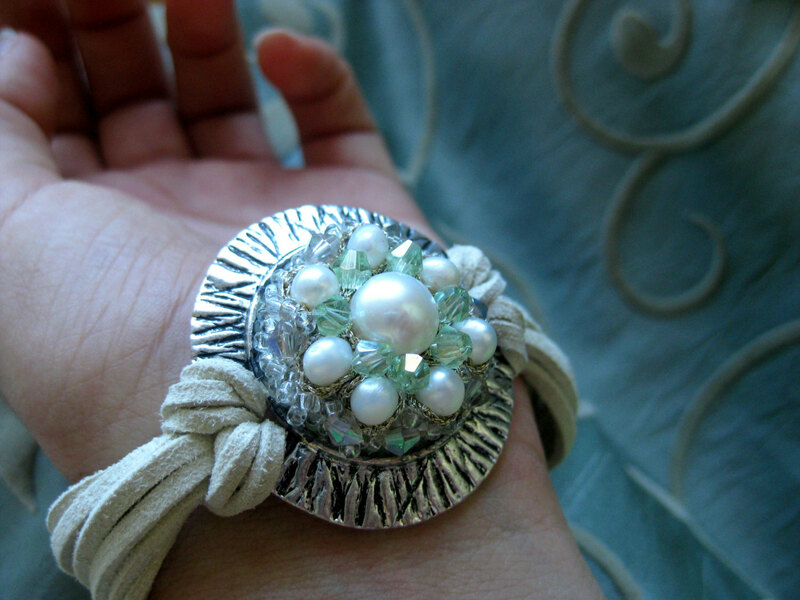 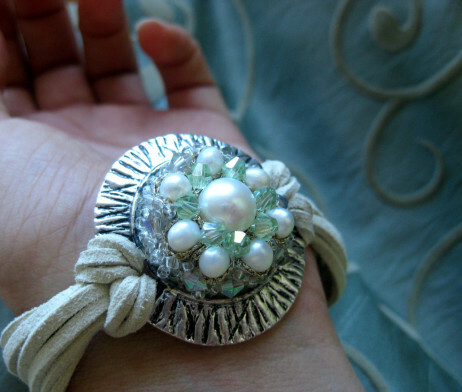 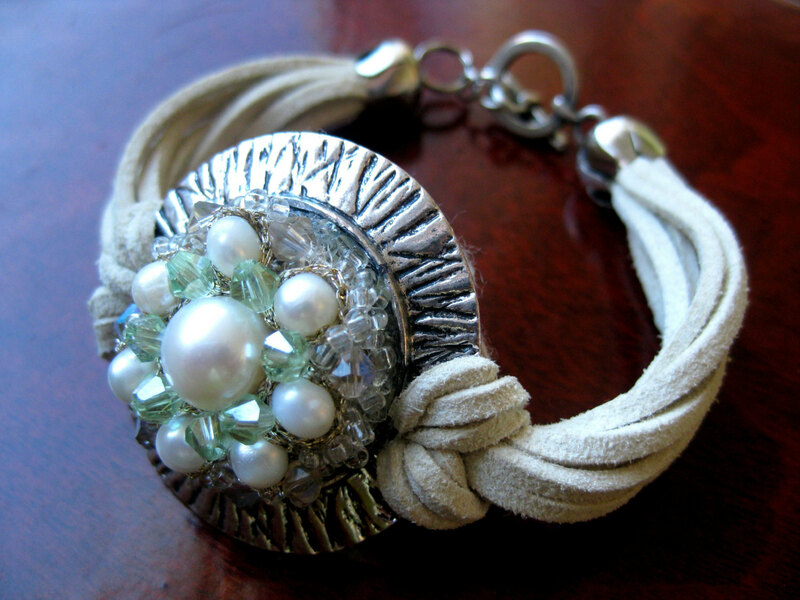 This entirely handmade bracelet features milky white natural freshwater pearls centered in a round silver toned rosetta, decorated with mint green crystals and Czech glass beads. 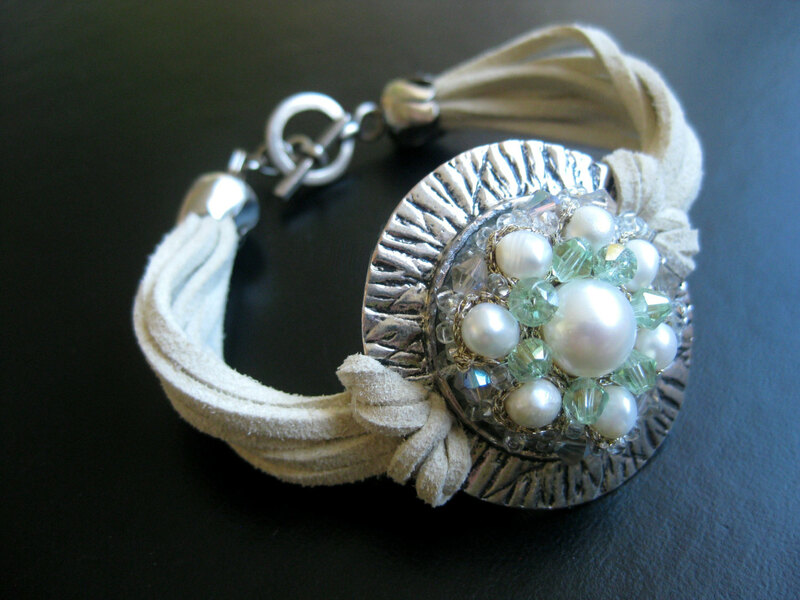 Several suede leather laces in light beige color are holding the Rosetta and closing the bracelet with a metal clasp in old silver color. 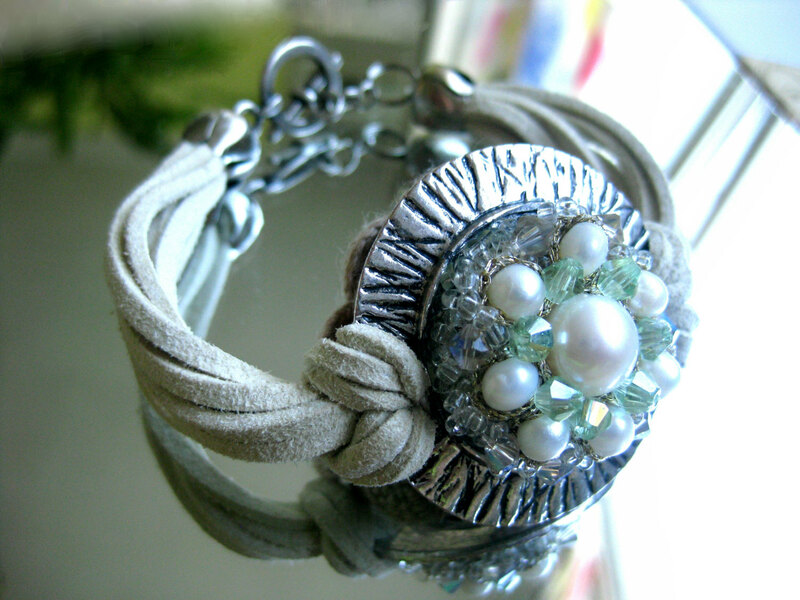 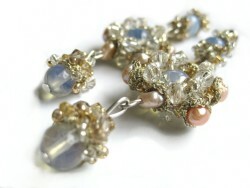 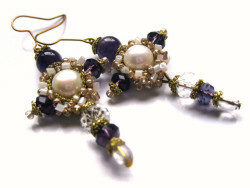 The bracelet wears the spice of the passed times and can bring a romantic touch to any outfit.